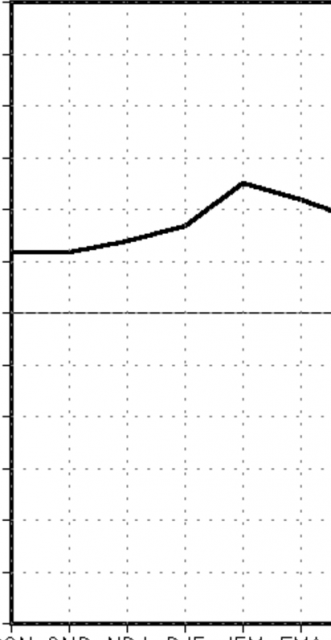 No change overall from the previous issuance. New forecast points to colder weather earlier on followed by a backing off. 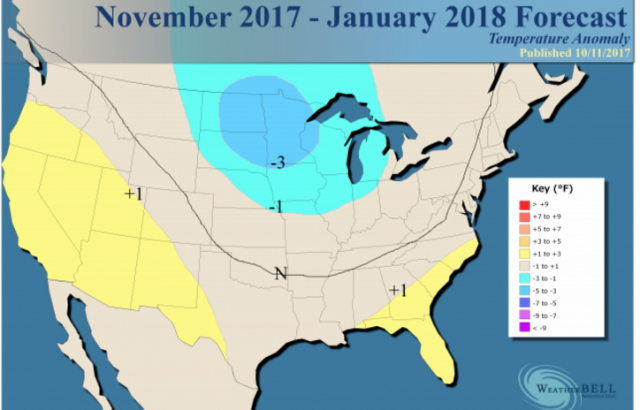 Colder start than past two winters is on the table. What would have to happen for a cold winter is to have the eastern Pacific hold on as cold or colder than the central Pacific. Forecast is almost perfect blend of models and various analogs. Confidence has increased because of that. So there is a colder start anticipated. Both the European model and the CFSv2 are even more firm in the La Niña camp, which appears to be more pronounced. 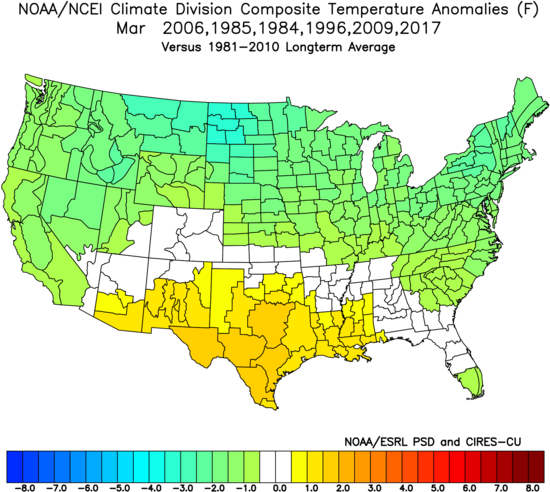 One of the big problems with last winter was the rise of the eastern Pacific to above normal, while the central Pacific was below. 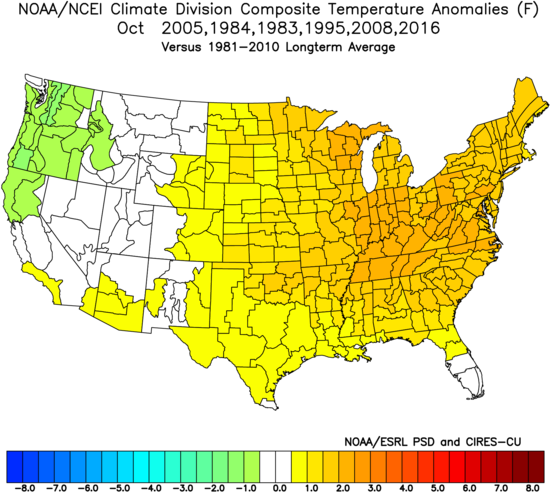 In fact, we had a La Niña in the central Pacific while, to some extent, we had an El Niño in the eastern Pacific! 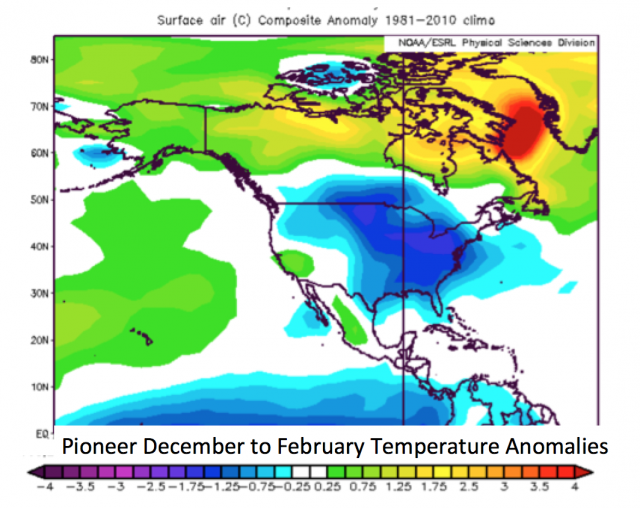 That eastern Pacific being warmer than the central Pacific is the kiss of death for cold in the U.S.
Our research says that you can center the cold in the U.S. based on how the water temperature orientation turns out. 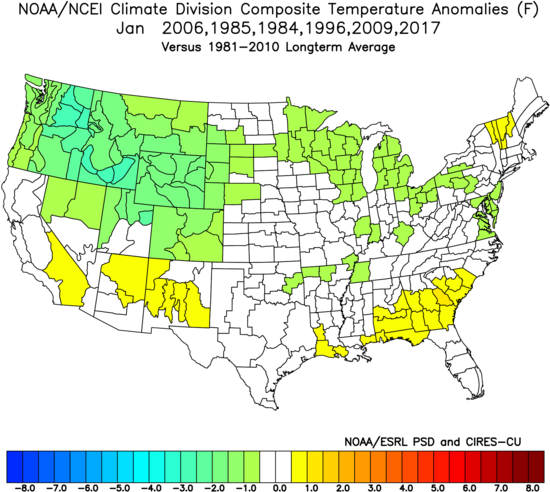 For instance, the LOWER the temperature is farther to the west in the ENSO regions, the farther to the west across the U.S. is where cold will show up. 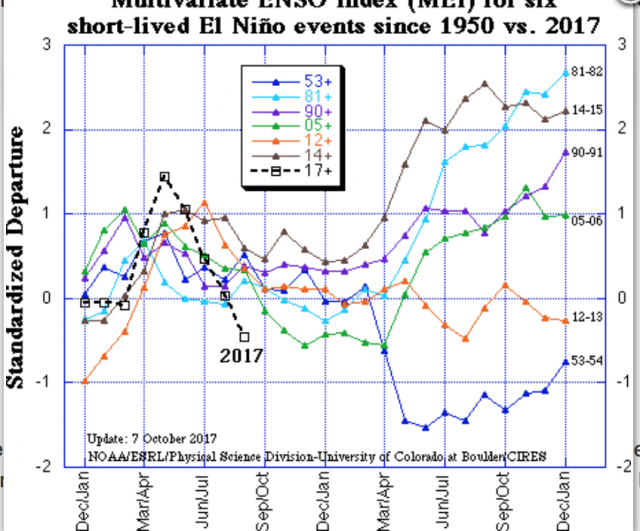 Last year saw the central Pacific (Nino3.4) over 0.5°C warmer than the eastern Pacific (Nino1+2), which we didn't anticipate. In addition, the forecast models show an interesting spreading of the cold along the western coast of South America. 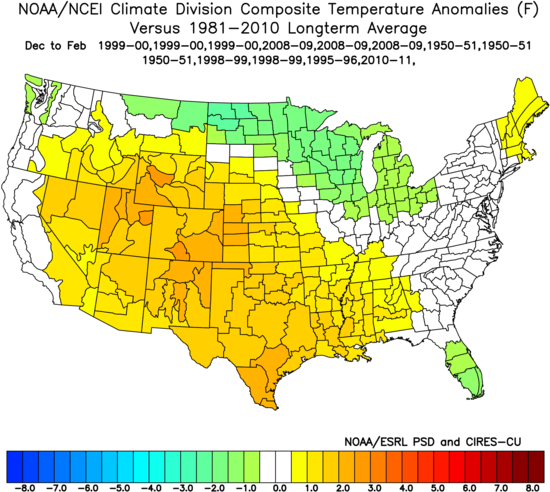 The most widespread Canadian cold is showing up in many analog years. 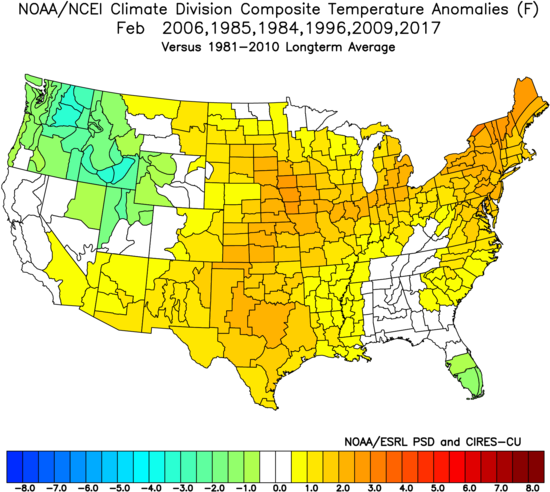 The way the U.S. arrives at its winter temperatures is likely to be through a war between cold and warm. Should the cold take control (and in periods it should), it's the revenge of winter. 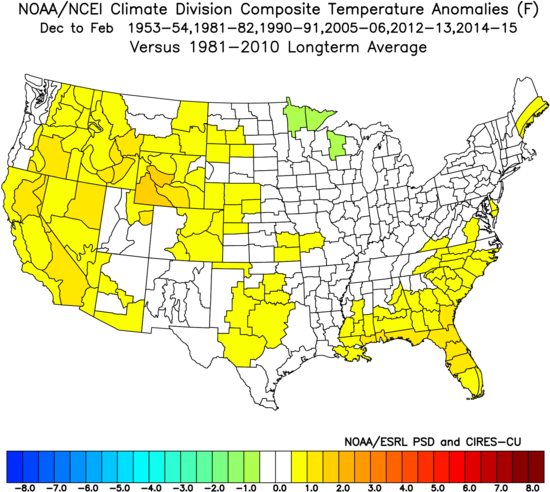 Those terrible model forecasts show that this is a CFSv2 crap shoot from this time of year. 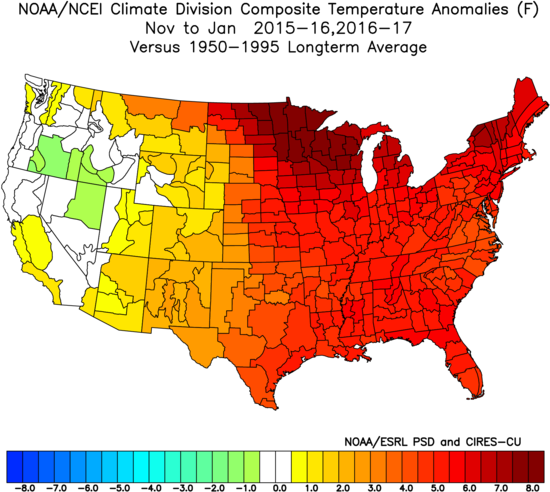 Nonetheless this year it has more cold on the map than either of those two years. What about polar blocking? The Euro has plenty of it, which would lead to long periods of sustained cold. What is scary is the Euro has a known bias to feedback cold in the Rockies. 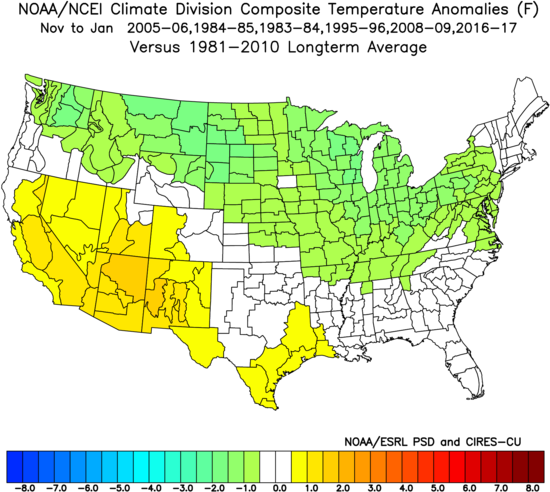 If that bias holds, it is likely again putting too much cold in the West. It also has a lot of blocking for December-February. 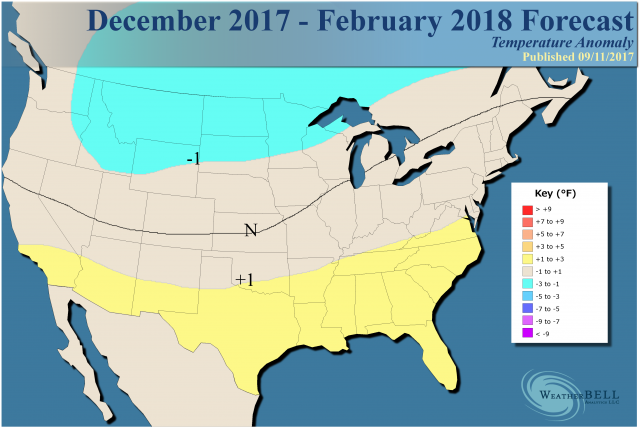 My worry is that if the normal correction takes place, the core of what is fierce cold for the winter will be farther to the east (like the Pioneer has). The message is plenty of cold is going to be on the table. The question is how to center it? So there is a lot of indication this is a very different start and it's not just going to be automatically warm. With the war between cold and warm I expect to rage, precipitation will be generous. So I like the call for a big snow and ice winter. I can't tell you it will stay on the ground the whole time in the battleground areas, but if we get a 30-45 day period where winter can center itself some places may be in for some old-fashioned winter memories. 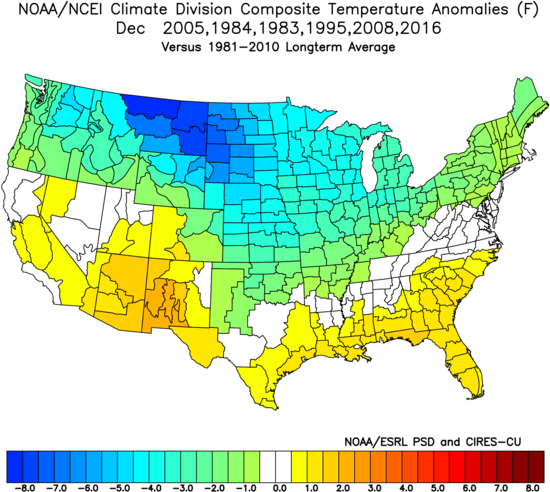 I am looking at the period from Thanksgiving to New Years to be quite a bit different than the past few years, though I got fooled last year. It looks like the eastern Pacific (Nino1+2) cold will be a bigger deal this year and will hold on better. This shows us where the cold will come, and, of course, that matters what will be rain versus snow. 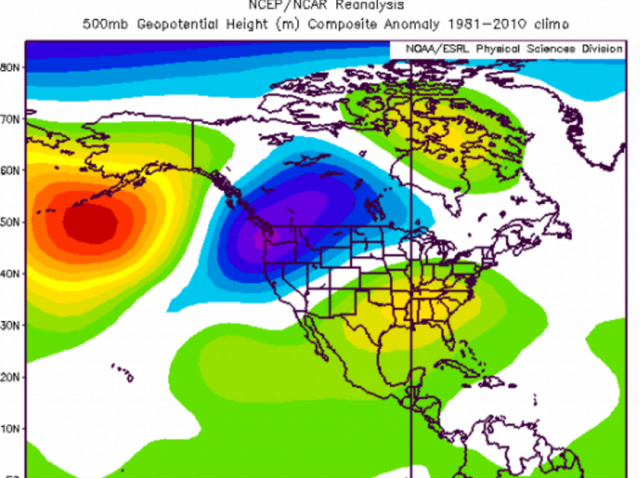 Expect a stormy winter with high variability. The coldest air should be centered in the northern Rockies and Plains, with warmth in the Southeast. Plenty of precipitation should occur, but the type is the question. 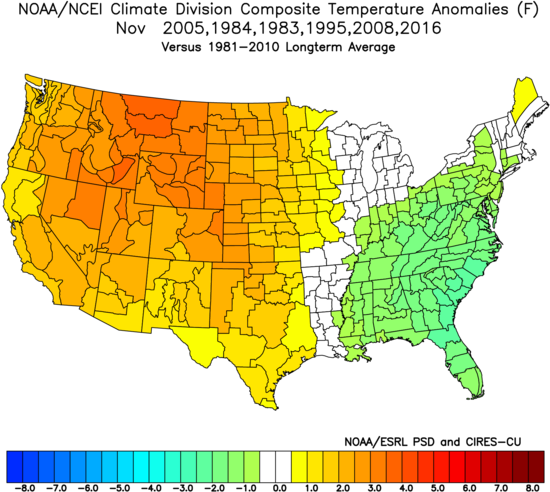 The Northeast is the biggest question to me, with Texas behind it with the threat of more chill than shown. 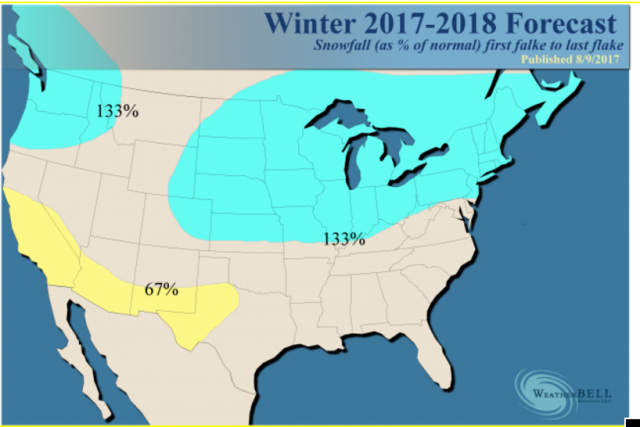 An earlier start farther to the east and south is on the table, but for right now the heart of the winter remains the same on average.